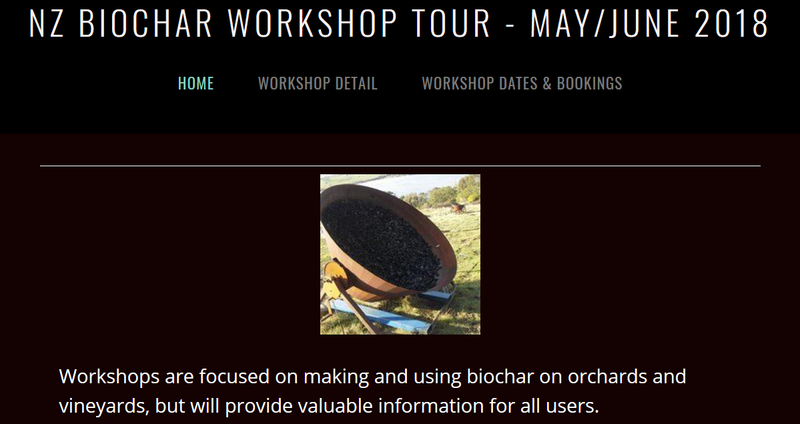 Dennis Enright produced a report on the May-June biochar workshops soon after the tour was completed. This report was circulated to all participants of the workshops. We are now sharing this post-workshop report as a series of ABE posts. 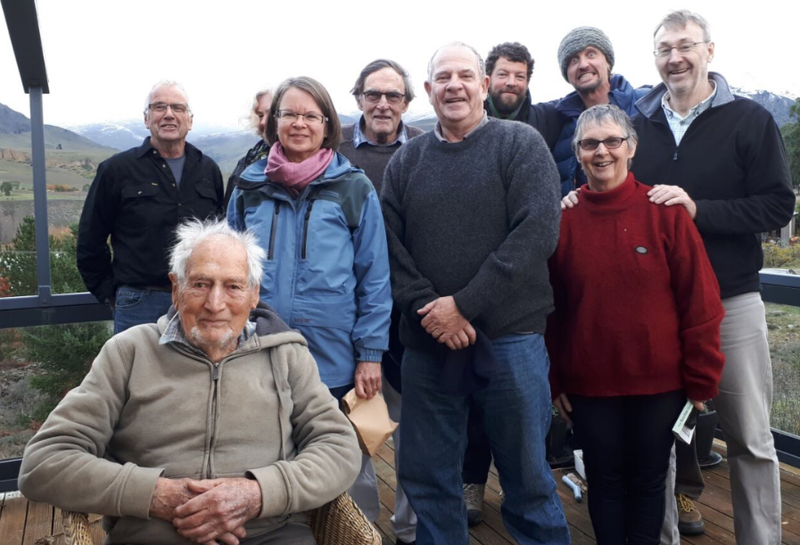 A 2 year study on the effects of biochar and compost on soil water and nutrient content was conducted in a Mt Difficulty vineyard at Cromwell, Central Otago. Treatments consisted of; pine branch biochar, compost, and mixes of the two, which were buried in a trench midway between grapevine rows. This approach was taken to cause least disruption to the roots of 5 year old vines, and would simulate placement of biochar prior to planting new vines on top of biochar. As there were no or few vine roots in the treatment zone, assessment of the treatment effects was restricted to measuring soil water and nutrient content. That study showed that a woody biochar (with negligible nutrients) incorporated into gravelly free draining soil can retain moisture to the same degree as an equivalent amount of grape marc compost. Biochar also had a positive synergistic effect on nutrients supplied by the compost. That is, in the presence of biochar soil nutrient levels remained higher even though the amount of compost applied was reduced. It is proposed that further simple on farm experiments could provide long term study sites. 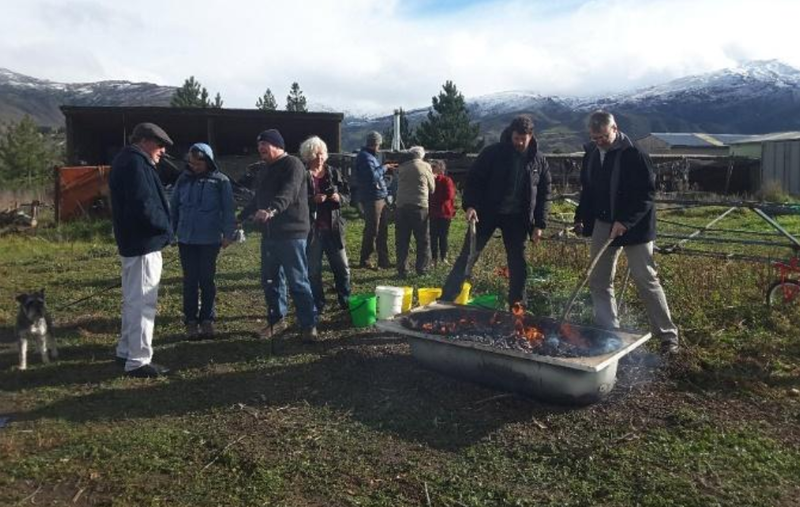 So during a series of biochar workshops held at Cromwell, Brightwater, Waihi, Waiuku and Gisborne (May/June 2018) small experimental sites were established using biochar produced during the workshop. At each of these locations the fresh biochar was applied to soil and will be compared with no addition of biochar in a randomised block design replicated 3 times. Samples of the biochars were retained for analyses and in the future other measurements such as soil moisture and nutrient content will be undertaken to evaluate whether there are any benefits, particularly in moisture and nutrient retention. 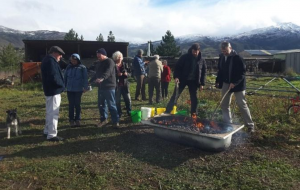 Biochar was made from dried willow and eucalypt branches by flame cap pyrolysis in a bath, replicating a trough kiln. 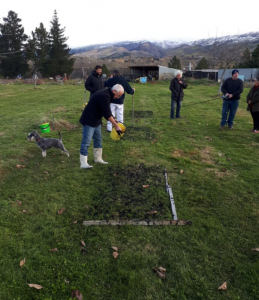 The biochar was then crushed manually and broadcast on to plots (1 by 2 metres) having a covering of short grass, midway between the rows of walnut trees, with treatments on each plot being: plot1-biochar, plot 2-nothing, plot 3-biochar, plot 4-nothing, plot 5-biochar, plot 6-nothing. 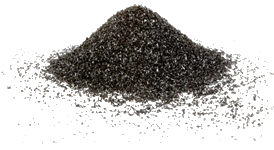 Application rate was 4.0 l/m2 which using an estimated bulk density of 0.25 equates to 10 t/ha.